Established in 1976, Sharelife is the annual charitable fundraising appeal of the Archdiocese of Toronto - ensuring people have access to social services based on Catholic values and respect for the sanctity of life at all stages. ShareLife is a sign of our stewardship, and an opportunity to share the gifts of time, talent and treasure that have been entrusted to us by God. ShareLife also provides an opportunity to exercise the Lenten tradition of almsgiving. Those who volunteer and work actively for ShareLife are in fact serving in the ministry of fundraising. ShareLife agencies help more than 40,000 children and young people every year, offering counselling, guidance and community education. When necessary, they can also offer meals and shelter in troubled times. 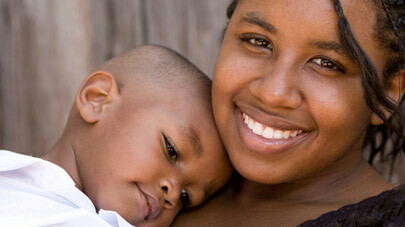 Catholic Charities publishes a report each year about its work and that of its member agencies. Catholic Charities identifies social justice issues that affect the most vulnerable members of society. Our advocacy work is rooted in our mission, core values and the moral principles of Catholic Social Teaching. Knowing the issues that affect the most vulnerable in our society is the first step toward finding solutions and bringing justice to a community. These resources cover issues related to poverty, homelessness, social services and more. When you cast your vote in the Ontario General Election to elect members to Ontario’s Legislative Assembly you want them to create a more democratic society, robust economy, environmentally sustainable future and one that safeguards basic human dignity. Living Out Laudato Si, issued by the CCCB on 1 September 2017 says Pope Francis' encyclical presents a vision of integral human development, where human dignity is upheld, the world’s poorest are attended to, and environmental, moral, social and political challenges are addressed in an integrated way. It reflects the Calls to Action of the Truth and Reconciliation Commission and Indigenous teachings in which all life comes from the Creator and how we must walk a path of responsibility in relation to it. The Encyclical Laudato Si', 'On Care for Our Common Home', is Pope Francis' urgent challenge "to seek a sustainable and integral development" by calling on everyone, "the entire human family" to to protect our common home. The style of this encyclical is one that challenges us to act now. 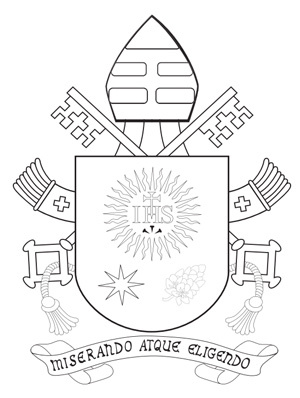 The encyclical is already regarded as a significant source of Catholic Social Teaching similar to 'Rerum Novarum', the encyclical of Pope Leo XIII published in 1891. 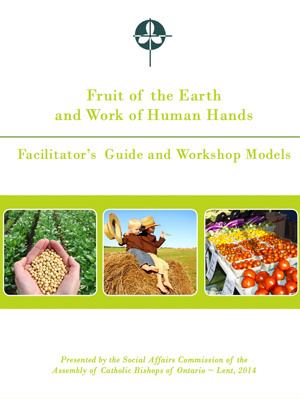 Laudato Si' is dated 24 May 2015, but was officially published at Noon on 18 June 2015. Laudato Si' means 'Prase be to you'. It is a phrase derived from the medieval Umbrian dialect of Central Italy. It is also a recurring element in 'Canticle of the Sun', a hymn or chant composed by Saint Francis of Assisi in the 13th century. The title of the encyclical and its opening quote from St. Francis’s Canticle establish its focus. 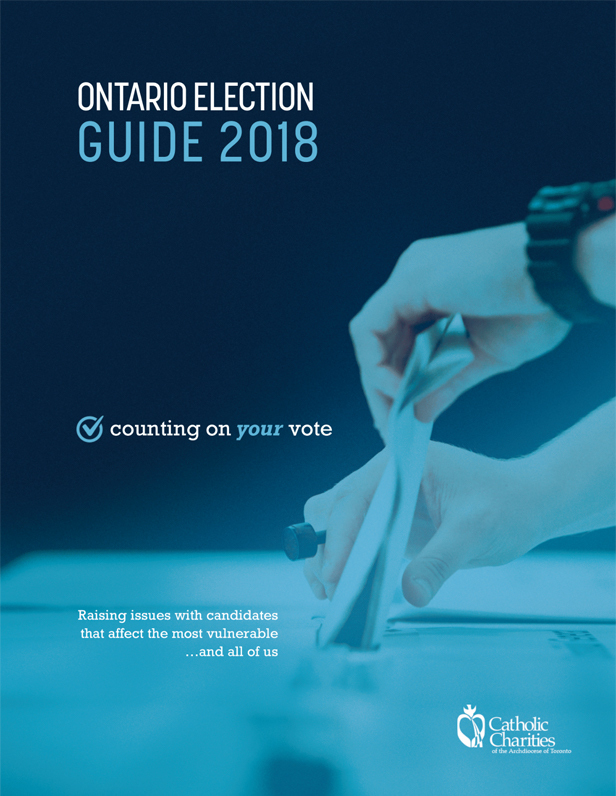 Catholic Charities prepared this voter's guide for Municipal Elections across Ontario in 2014. The Guide's focus was to help people make informed decisions when selecting some 2,800 council members and 700 school trustees across the province. Catholic Charities of the Archdiocese of Toronto is a ShareLife partner. Charitable Registration Number: 10687 9943 RR0001 © 2019 Catholic Charities of the Archdiocese of Toronto.